People who have never married have the highest risk of death in the United States. That is according to a study by the Journal of Epidemiology and Community Health. Research finds that people who have never married were 58 percent more likely to die than married people. In further comparison, people who are widowed are 40 percent more likely to die, people who are divorced or separated are 27 percent more likely to die. This phenomenon was also verified by numerous independent studies. Single, divorced and widowed men or women simply have a higher mortality rate than their married counterparts. 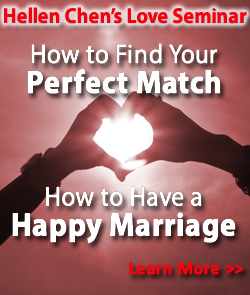 "Being married drives a person to perform better in all aspects of life" says marriage expert Hellen Chen, who has personally match-made 50 couples and followed up with the couples' married lives afterwards. Chen has frequently worked with men and women who have lost faith in relationships and given up on the aspect of marriage. "When I finally convinced them to tie the knot, you can see a changed person right in front of your eyes." smiled Chen. The transformation seems not limited to appearances. According to the latest 2012 population report by US Census Bureau, married men between are getting higher salary than single men. This report also showed married women earning more wages than single women. 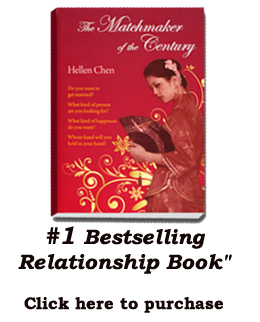 Chen witnessed many couples' lives transformed over a period of time and became more prosperous. She also observed how having babies, despite concerns about financial burdens, got couples to excel even better in their careers.